Without compromising reliability or performance, the RM 'Remote Blower' system is designed to offer a ‘bare bones’ drying solution that does not compromise drying performance efficiency. This system is ideal particularly for budget restricted and low-volume applications. 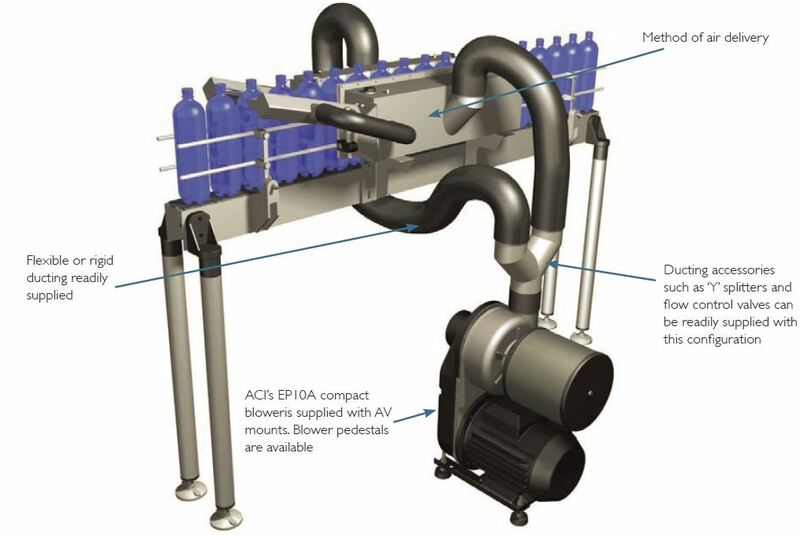 The RM system is characterised by having no enclosures supplied for either spray contamination or noise attenuation. The blower must be positioned a minimum of 3 metres (to prevent water ingress into the blower) and a maximum of 10 metres form the drying area (to prevent system performance losses). The blower type recommended for this system will be determined by such factors as the line speed and nature of the application.